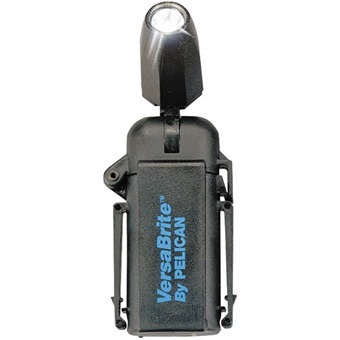 The VersaBrite™ 2250 Deluxe Flashlight Kit is made of tough polycarbonate resin that withstands chemicals, water, and corrosion. It is a hands-free light small enough to take anywhere. Clip it on your coat, shirt pocket or hat and allow your hands to be free to work, hike, bike or read. The pivoting head lets you aim light where you need it. Just twist to turn on. 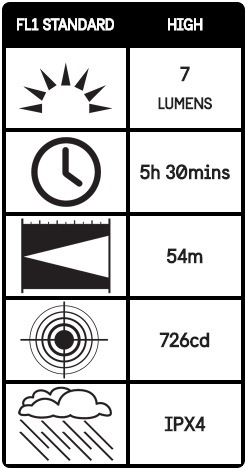 The VersaBrite™ 2250 is packaged with 2 AA alkaline cells, head strap, hook and loop, magnet, and 2 night vision discs.